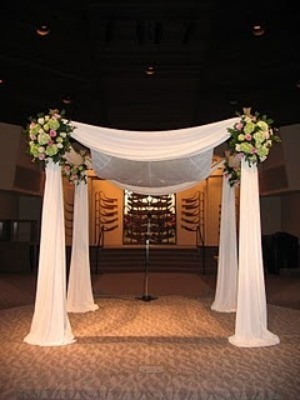 ​Canopy and Chuppah Rentals are a beautiful way to add elegance to your wedding or event. The canopy is adjustable to a width of up to 10 feet wide per side, and height of up to 8 feet tall. 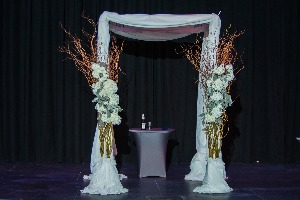 All drapes are white, and you can add a glow of color with a lighting add-on package or add some beautiful floral. Basic white 6'x6' is $350. The amount of drape on the front is entirely up to you. It can hang low or high to see all or some of Tallit hanging. 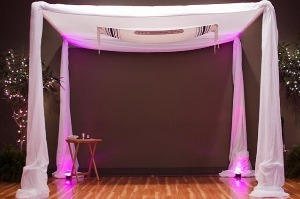 ​OPTION 2: Basic White with draped front panel also comes in 10'x10' or 6'x6' and is $400. The floral is added by your florist whom I can work with so they know sizing and how it will be attached. 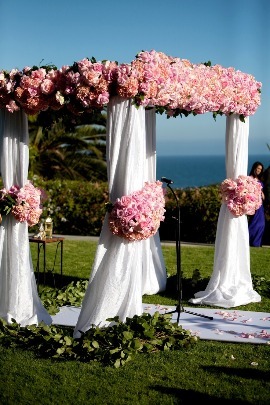 The floral price will depend on how large you want those balls/flower type or if you want them placed on pedestals in front of the chuppah legs. 2. Uplights are $30 each and if you choose this option we recommend just lighting the back legs if you choose a lighting option. 5. Floral – We can work with your Florist or do these ourselves. 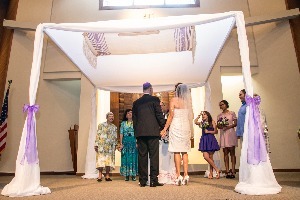 Contact us for more information and to rent a Chuppah or Canopy for your Wedding! "I tell everyone that hiring Julie was the best decision we made during the process of wedding planning. 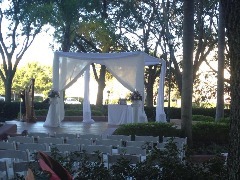 From the first meeting we had, she seemed to have an intuitive sense of what we wanted with everything from the feel of the event to the color scheme. She was incredibly knowledgeable and guided us on whatever we needed from helping pick out tuxes to organizing the processional. 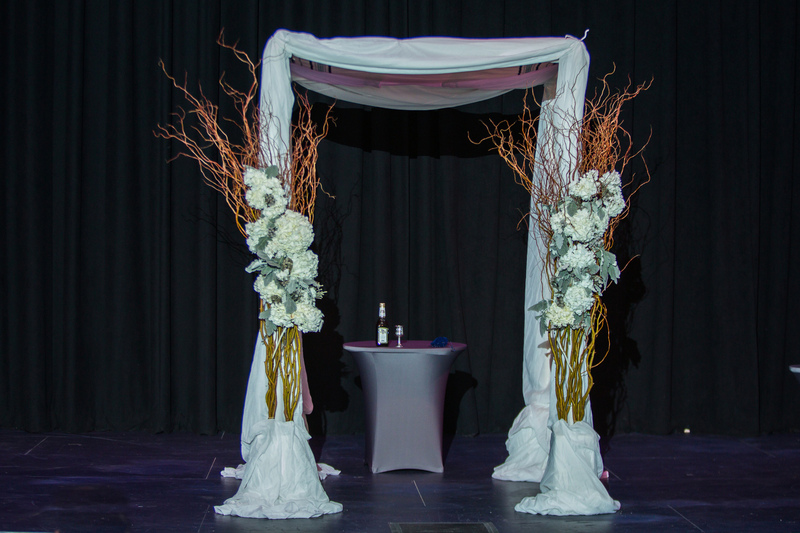 She provided us with options for vendors that were available for our date and reputable, which made what could have been an incredibly overwhelming endeavor virtually seamless and stress-free."